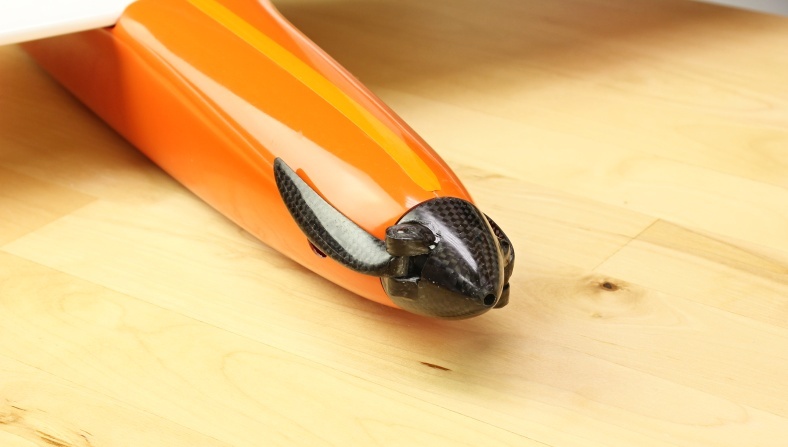 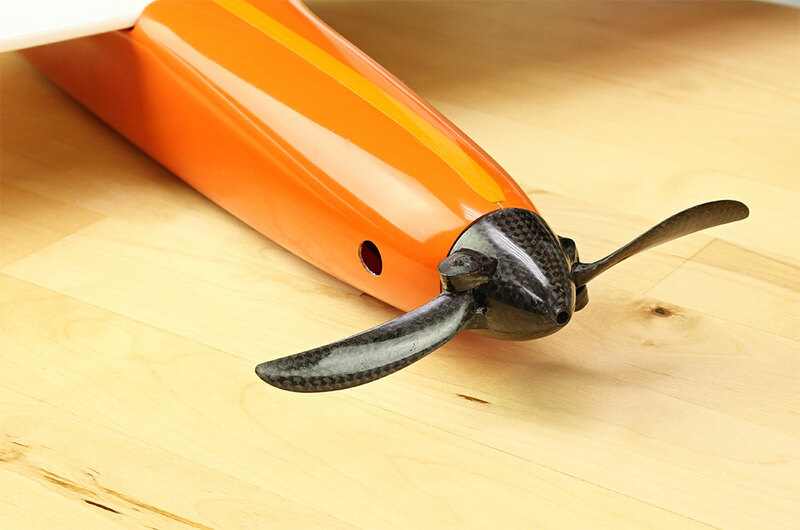 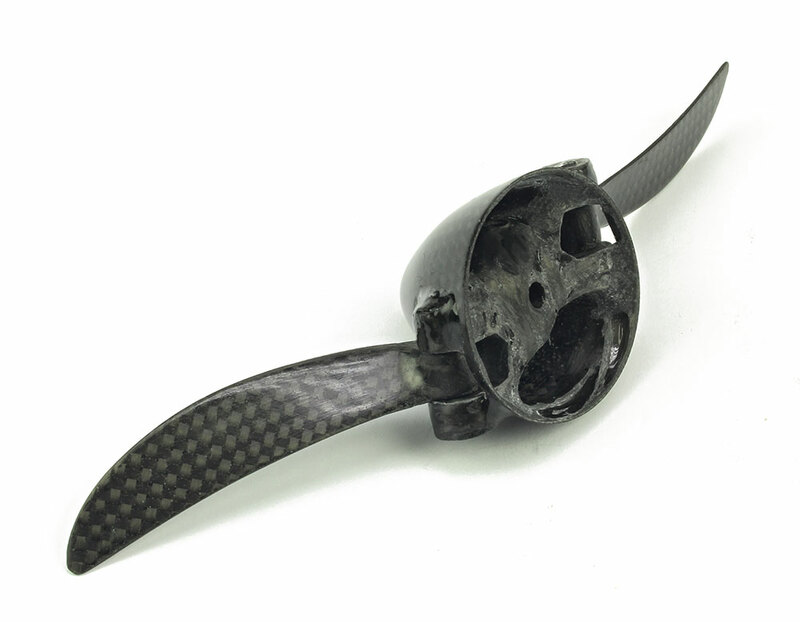 Propeller/Spinner Assembly features a high Carbon Fiber content allowing for a high performance and extremely light weight. 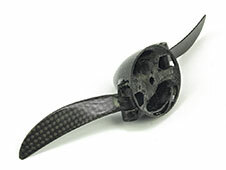 Professionally laid Carbon Fiber cloth maintains maximum torsion rigidity in a simple All-In-One solution. 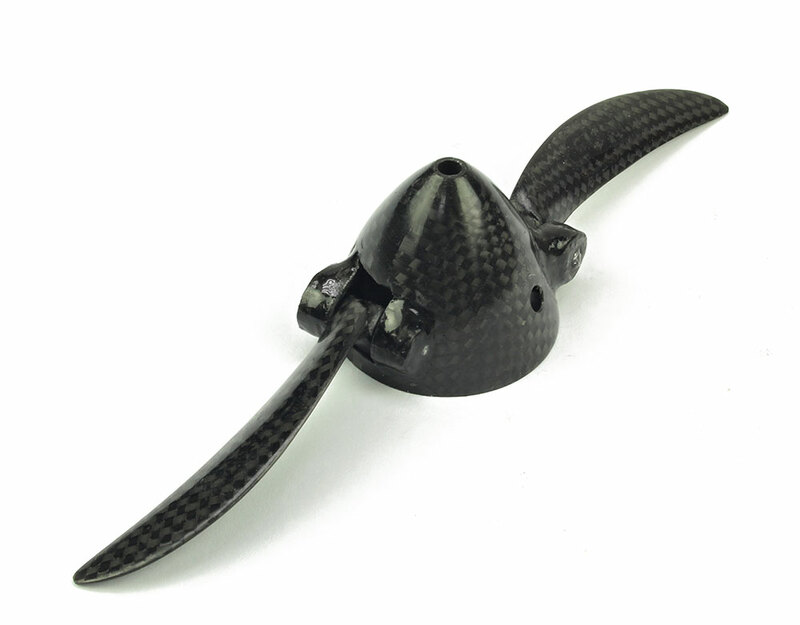 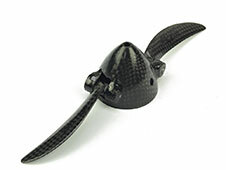 Carbon fiber spinner features 4.7x4.7 folding propeller with 30mm spinner diameter and can be used for 3.2mm (1/8") motor shaft. 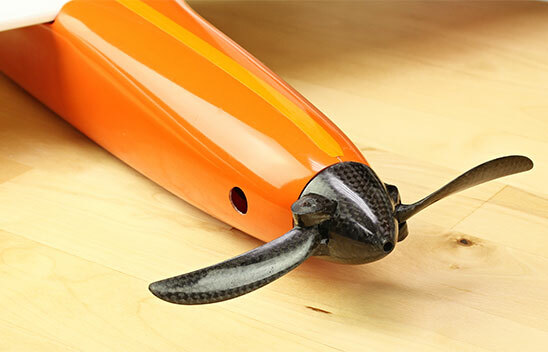 We recomend limiting power to 1000W.